There have been more than a few times when I have had a physical problem and I chose doctors who use the title "Specialist" for the specific issue. Why I walk away feeling that very little has been resolved on these same occasions is to say the least disheartening! I'm especially amazed at the ones who after I have filled out pages of forms with very specific information, ask me, "what seems to be the problem?" Which brings me to you. Yes, perhaps your jokes can be a bit unnerving at times (the sticking of the pins at home is brought to mind......hey I can "kid" too!). But it's important to let you know that after being in agony with so many muscle spams and an angry lower back than I wish to recall that two weeks after my initial visit I'm feeling great! Actually I felt pretty good after about 5-6 days. And considering how scary it is to feel like something is breaking back there it really makes a big difference to be healed this much! But even more than being what you're good at, I really want to thank you for listening to me about other issues (regular abdominal and feet cramping). You advised me to cut my blood pressure pill in half and take it twice over the course of the day instead of just all at once. You also suggested energy drinks such a Gatorade and Zero to help with loss of electrolytes. And only after one week or so of taking your advice I have had NO CRAMPS!!!! Why, even my regular GP of the last dozen years never mentioned these things! So doc.....many heartfelt thanks for what you do and how you do it. And for a great bedside manner, not only showing interest in your patients but REMEMBERING details of physical issues, and personal as well! They go out of their way to make everyone feel equally respected and cared for. I've seen client favoritism at some of the other places I've been, and I really appreciate the extra effort they make to avoid that here. They were so skilled and knowledgeable, and even customized their adjustments to meet my specific condition. One of the first things I noticed about this business was how many different areas of the building were handicap-accessible. I have been to other places where I couldn't tell how someone in a wheelchair could even enter, but they really spent a lot of time to accommodate people with all different needs. I don't know of anywhere else that would've taken better care of me. I had a great experience. He has always made me feel better then when I entered his care. 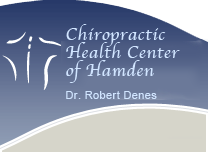 Dr. Denes has been my chiro for years! He is currently treating my teen daughters for medical issues I never thought could be helped with chiro! I felt much better after my appointment. My pain was greatly reduced. They made sure every single question I had was answered, and are always available if I think of any more questions I want answered. Their staff is the most friendly, welcoming staff I've ever dealt with. They are so warm and professional, and make the whole experience that much better. I have a chronic condition that requires regular attention and Dr. Denes is supportive, patient and always suggests things I can do on my own to manage pain. I've been with him as have my children and many friends since he began his practice. I was confident that Robert M Denes, DC was using the latest treatment methods. I will definitely recommend Robert M Denes, DC to people I know. I was very comfortable during my adjustments. I felt no pain or discomfort at all. I wasn't stiff at all when I left. Robert M Denes, DC always makes sure I'm comfortable. After my chiropractic treatments I don't need to take medication for my neck and I did not need to consider surgery for Carpal Tunnel Syndrome.